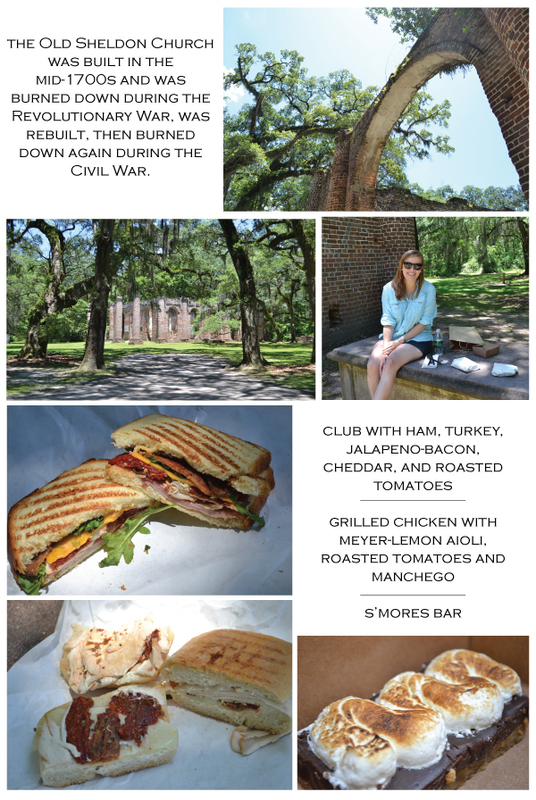 snack breaks, charleston | Is there any wine left? If you think all we did was eat our way through the fine dining establishments of Charleston, you’d be wrong. We also ate our way through the casual (but no less delicious) eateries of the city. 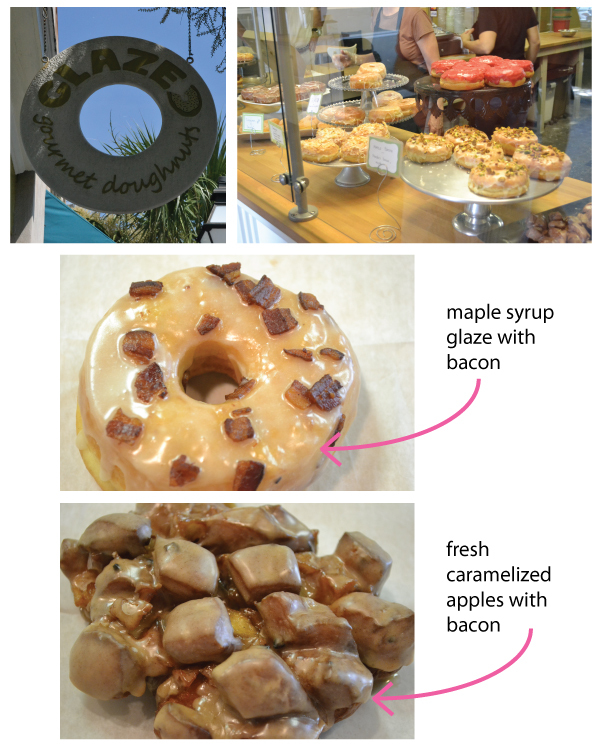 First up, Glazed Gourmet Doughnuts. Breakfast of champions. They used Neueske’s bacon in about 1/3 of their doughnuts and 100% of the ones Whitney and I ordered. 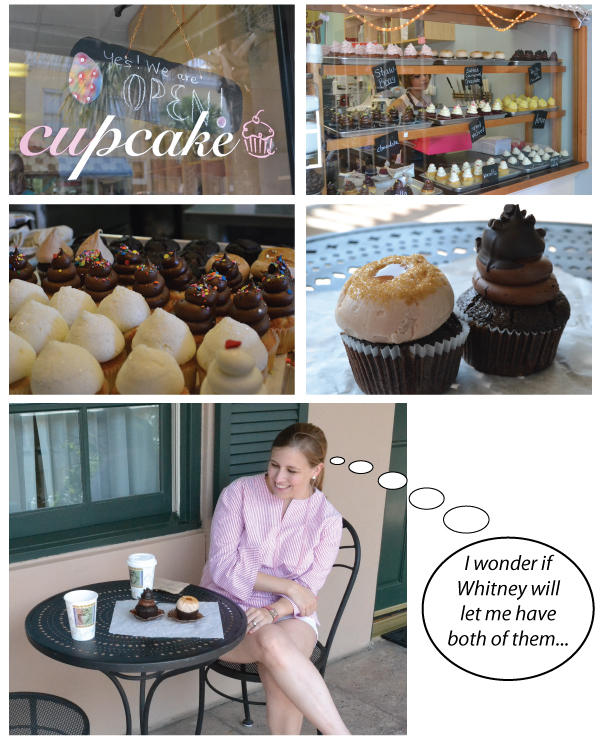 Here is how we ended up at Cupcake: One day we had lunch at 11:30 am, but didn’t have dinner reservations until 8 that evening and I thought I might pass out from hunger in the afternoon so we stopped and had a little snack. By “little” I mean two full-sized cupcakes with caramel and bacon. See the trend? Finally, heading out of the city on the way to Jason’s wedding in Hilton Head, we picked up sandwiches at Caviar & Bananas and took them to the Old Sheldon Church Ruins. This place was gorgeous. I cannot get over how beautiful the arches and columns were. Also, the sandwiches (more bacon) were awesome.